Simfoni recognized as a leading vendor for the 4th year in succession. Simfoni recognized as a leading vendor for the 4th year in succession. Home > Blog > Simfoni recognized as a leading vendor for the 4th year in succession. 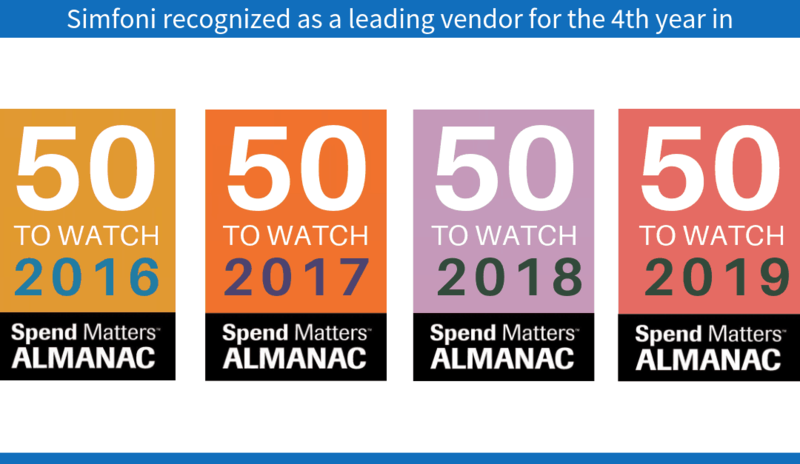 The Spend Matters 2019 Almanac has been released today and Simfoni is delighted to announce that – for the 4th year in succession – it has been recognized in the “Top 50 to Watch” category amongst leading technology vendors in the eProcurement sector. Simfoni, with its Analytics and Tail Spend Management suite of products, has once again been shortlisted in the category of leading vendors driving technology innovation and thought leadership. Chairman Chirag Shah commented, “I am delighted that Simfoni has yet again been featured on the list of top 50 procurement technology vendors to watch by Spend Matters. Procurement technology is a highly competitive and mature space with 100s of providers trying to solve complex problems in this space. Being able to consistently make it to the list is a true testimony of our continued contribution in terms of innovation and deep industry expertise. Our technology platforms Virtuosi™ – a holistic analytics technology platform, Vitesse™– a pioneer in the field of Tail Spend Management – and Sourceforce, a Savings and Project Management suite, all lead the field in their respective emerging market segments. 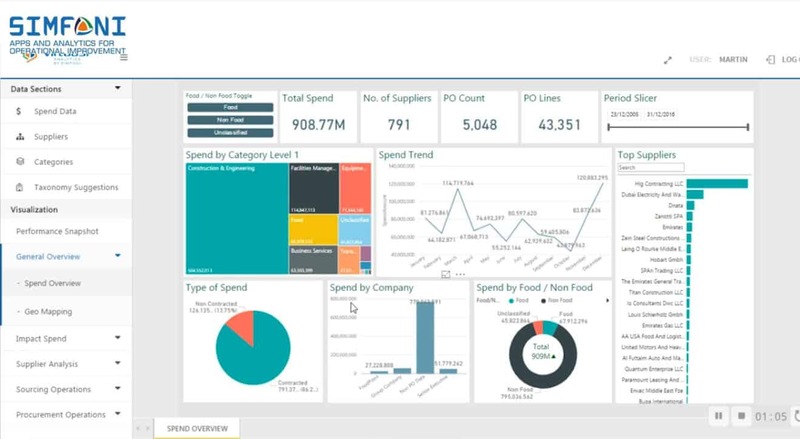 The Almanac listing comes hot off the heels from Simfoni’s inclusion as a leader in the Spend Matters Solution Map for Spend Analytics published in March 2019 and Simfoni’s recognition in Procurement Leaders Awards for Best New Procurement Technology 2019.